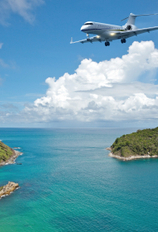 Copy Editor Jaclyn Liechti has been with SmarterTravel since June 2009. She holds a master's degree in writing, literature, and publishing from Emerson College. Born and raised in the Midwest, she has marveled at the grandeur of Mount Rushmore and been whitewater rafting in Colorado, but has yet to make it to the "ruins" of Carhenge in her home state of Nebraska. A semester in Dublin allowed her to visit more far-flung destinations such as Rome, Mykonos, and London, but her travel aspirations are far from complete. Nothing says summer like a day at the beach, but sandy shores only go so far. These 10 towns may not be major cities, but they are certainly big on fun. And while the shorelines are the main attraction, the towns have much more to offer beachgoers than just water. Whether you’re looking for a little romance, a chance to surf, or a family getaway, these towns should make the list for your next vacation. 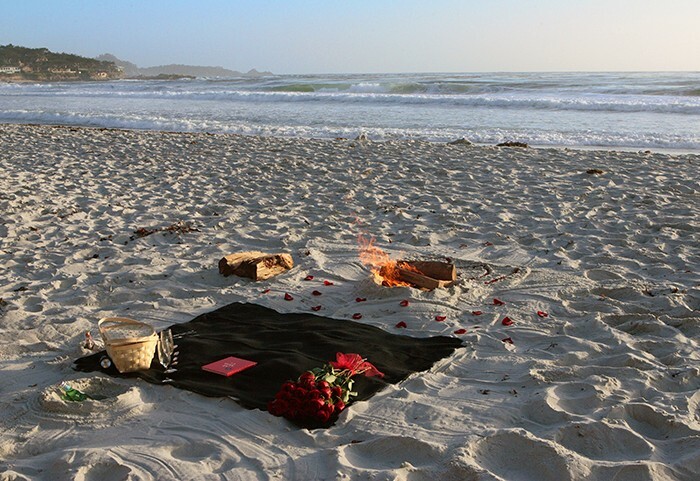 What better way to rekindle an old flame than a day at the beach, and what better town to light it but Carmel-by-the-Sea? Snuggle up with your honey by a bonfire on the shore, or indulge in one of the 10 wine tasting venues downtown. After dinner at a romantic restaurant, you can meander through the many art galleries or stroll down Ocean Avenue to Carmel Plaza, which features high-end stores and jewelry shops such as Tiffany & Co.
Find your romantic escape at a bargain price with these hotel specials from the City of Carmel-by-the-Sea website. Mackinac Island may be a throwback to simpler times, before automobiles and video games defined family fun, but donât let the slower lifestyle fool you. Thereâs still plenty here to entertain kids and adults alike. When youâre not hanging out on the rocky shores of Lake Huron, you can take in the sites of the island the old-fashioned way, on a horse-and-carriage tour. Kite flying exhibitions, two butterfly displays, and a haunted theater are just a few of the other activities available for your whole troop to enjoy. 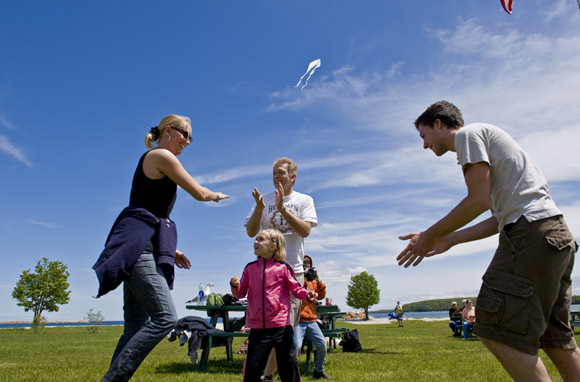 Visit the Mackinac Island Tourism Bureau for summer specials and packages on ferry tickets, hotel accommodations, and more. 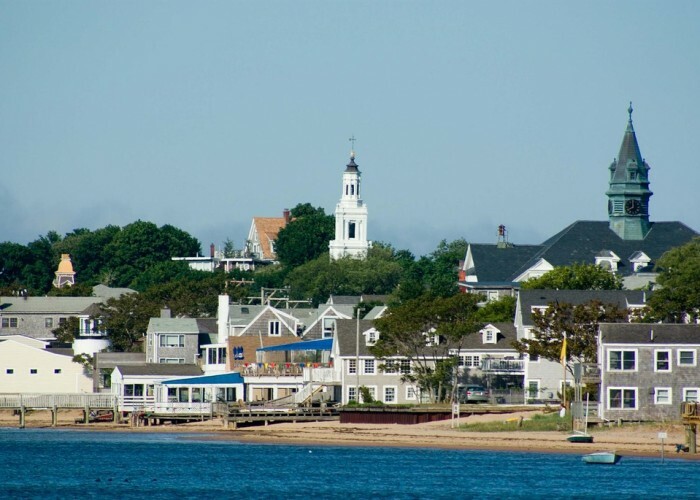 Located on the very tip of Cape Cod, Provincetown is a shopperâs delight. After spending the day lounging on the Cape Cod National Seashore or the harbor beaches, walk through the quaint downtown, which is filled with local businesses selling an eclectic selection of goods, from vintage and military surplus clothing to mosaics made by women and GLBT books. Stores and art galleries are housed in 1800s-era houses, giving the downtown area a funky personality that belies its quaint fishing town heritage. Whether you're in the market for a beach read, a new bathing suit, or a one-of-a-kind souvenir, Provincetown has it. If youâre looking for a classic beach town experience, look no further than the Wildwoods. 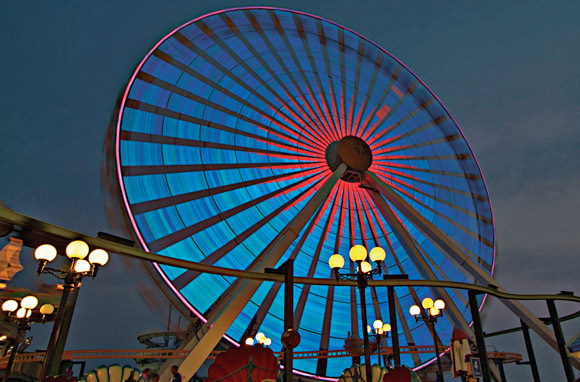 This Jersey Shore town has a two-and-a-half-mile-long boardwalk filled with carnival games, shops, and food; combine that with free concerts and Friday-night fireworks and there's plenty of good old-fashioned fun to go around. Thrill rides light up the night after the sun goes down, and you can experience one of the tallest and fastest wooden coasters in the Northeast, the Great White. Don't forget to check out Family Fun Night every Thursday, when you can see parades, clowns, and stilt walkers along the boardwalk. Check out the Wildwoods Chamber of Commerce for a free coupon book for savings around town. 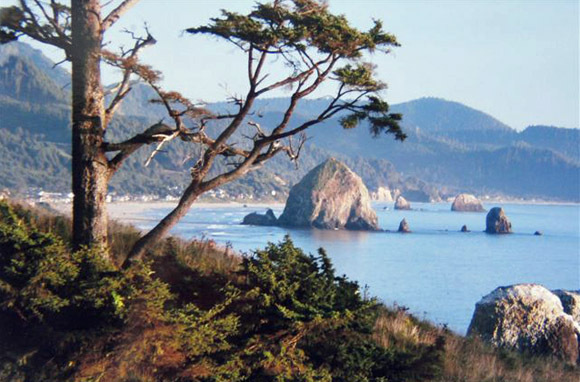 With plenty of trails and beautiful views, adventurous beachgoers will want to add Cannon Beach to their bucket lists. Home to the well-known Haystack Rock, this town is the place to go if youâre looking for outdoorsy fun. Hike along the coastline in nearby Ecola State Park or climb Saddle Mountain while taking in the surrounding natural beauty. After a strenuous day, itâs easy to throw down a beach towel, kick off your hiking boots, and relax seaside. Whether you're a novice or experienced hiker, there's an option for you. Check out the trails before you leave. 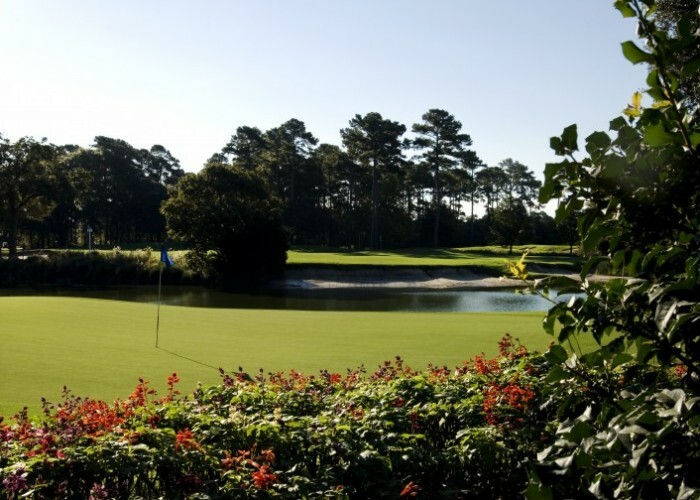 Thereâs no denying that Myrtle Beach is the quintessential beach town for golfers. With more than 100 courses to choose from, this southern hotspot should be a top choice if you want to tee up while on vacation. World-famous golfers such as Arnold Palmer and Jack Nicklaus have created beautiful and challenging greens, so you'll be sure to put your skills to the test. If your short game needs some work, you can practice at one of nearly 50 putt-putt courses. 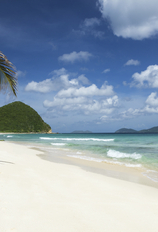 After hitting the showers, head for the 60 miles of beaches to rejuvenate. Bringing the kids along for a beach vacation? This summer, kids play free at more than 40 area courses! 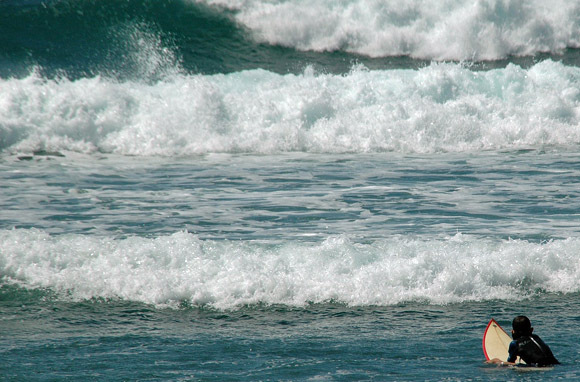 Haleiwa has long been known as a surferâs paradise, offering great waves with a more relaxed attitude than Waikiki. If youâre an expert, a beginner, or even just a spectator, this town on Oahu's North Shore has the waves for you. And while plenty of beaches offer great surfing, Haleiwa has embraced the sport and its culture, making it uniquely appealing to locals, professionals, and amateurs alike. Swells that can reach 30 feet or more, exciting competitions (including the first leg of the Triple Crown of Surfing), and a laid-back attitude will make you want to stay forever. Chincoteague Island may have been made famous by a childrenâs book, but even grown-ups will want to head to this beach town for a chance to see the wild ponies. Each year, the majestic creatures are rounded up to swim across the channel, creating an amazing sight. 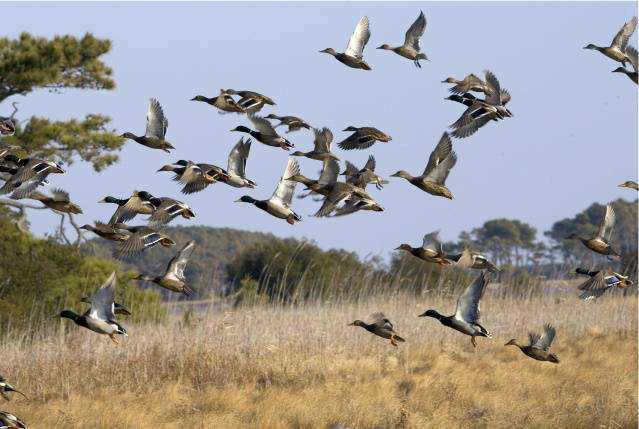 While the ponies might be the most famous animals on the island, the nearby wildlife preserve is home to animals of all kinds, including more than 320 species of birds. For a chance to get close to nature while relaxing by the sea, visit this Virginia escape. Want to experience nature up-close? Take a guided sunrise or sunset kayak tour with a local guide. Located on Floridaâs Gulf Coast near St. Petersburg, Treasure Island has three miles of beaches welcoming visitors throughout the year. The barrier island is the perfect beach getaway for those interested in watching the sun dip below the waterâs edge. On the first and third Saturdays of June, July, and August, and the first Saturday in September, the town sponsors a sunset festival that features live music, street performers, and artisans. 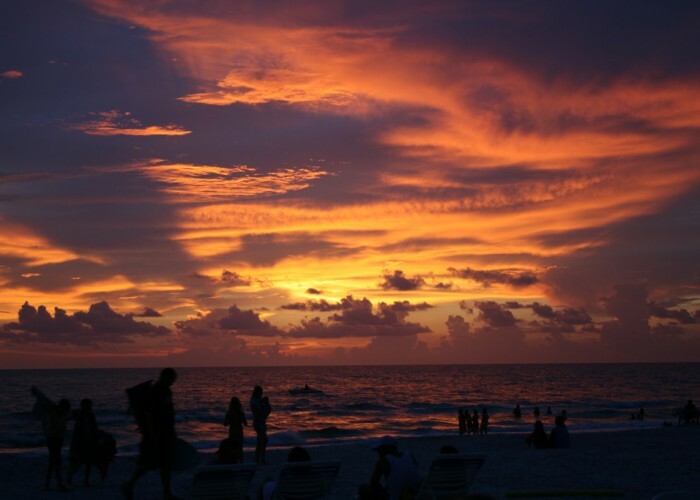 From 5 p.m. to 9 p.m. you can sway to the sounds of a steel drum and watch magicians and fire eaters along the beach until the main event: a perfect sunset. Currently, Treasure Island is unaffected by the oil spill in the Gulf. The St. Petersburg/Clearwater Area Convention & Visitors Bureau is offering a guarantee with local hotels in case the beaches do close, giving you the first night (including taxes and resort fees) free. 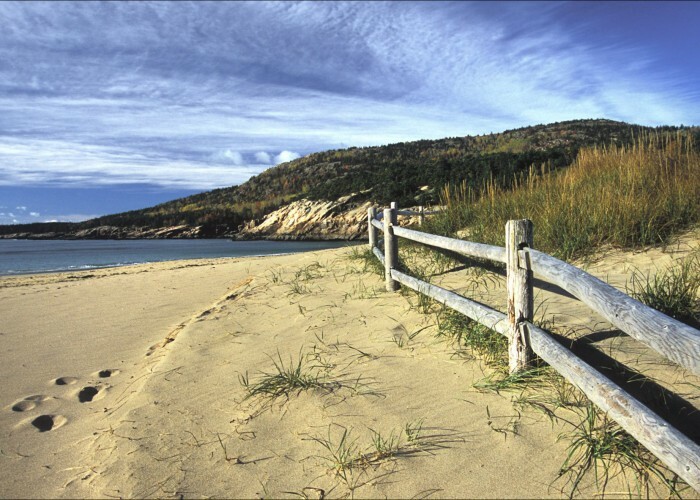 If you want to explore the beach on two wheels, rather than two feet, Bar Harbor is the perfect escape. Not only is the town itself ideal for cyclists, but nearby Acadia National Park offers miles of roads and picturesque views. Ride for more than 40 miles on unique carriage trails that range from easy to challenging. The town even provides a free lift into the park for you and your bike. If you don't have your own bike, find rentals at Bar Harbor Bicycle Shop or Acadia Bike. What is special about your favorite beach town? Leave a message in the comments section below!